I love pumpkin spice flavored anything. I love granola. Of course if you combine those two things, I'm in love! This is so good mixed into yogurt! I need to make a new batch very, very soon. Stir everything but the dried fruit in. The honey will be gloppy, just stir the best you can. Cover and cook in a vented crockpot (prop lid open with chopstick or wooden spoon) on high for 4 hours, stirring every 30 minutes or so. Add dried fruit in the last 30-minutes to an hour. Let cool completely. 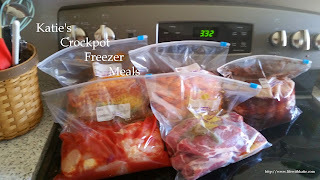 Store in an airtight container in either the fridge or the freezer. There are so many ways to use this...sprinkled on ice cream, yogurt, by itself....Let me know your favorite way!